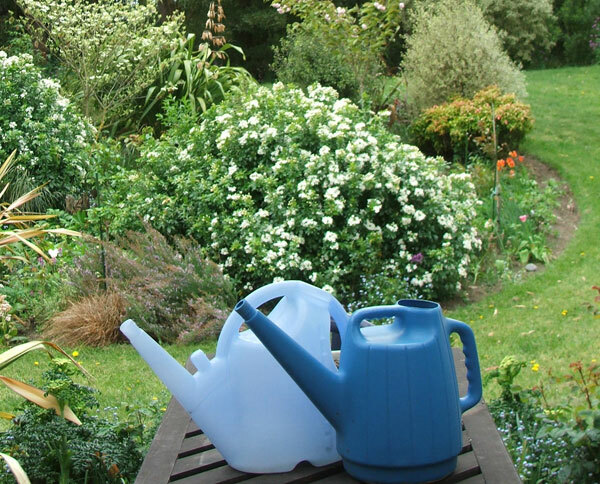 My two blue plastic watering cans are extremely useful for the patio pots. No point in hiding them away - they're used twice a day in the heat of summer. 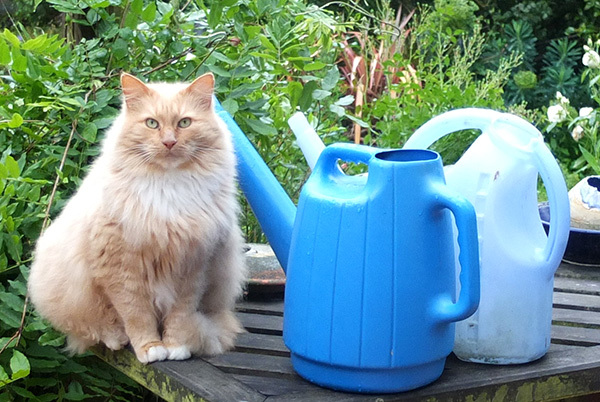 Thanks to Fluff-Fluff the cat for making the functional blue plastic look so stunning!